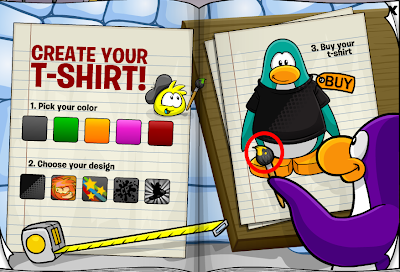 Club Penguin Cheats by Mimo777 Club Penguin Cheats by Mimo777: New Club Penguin January 2012 Clothing Catalog Sweet Cheats! 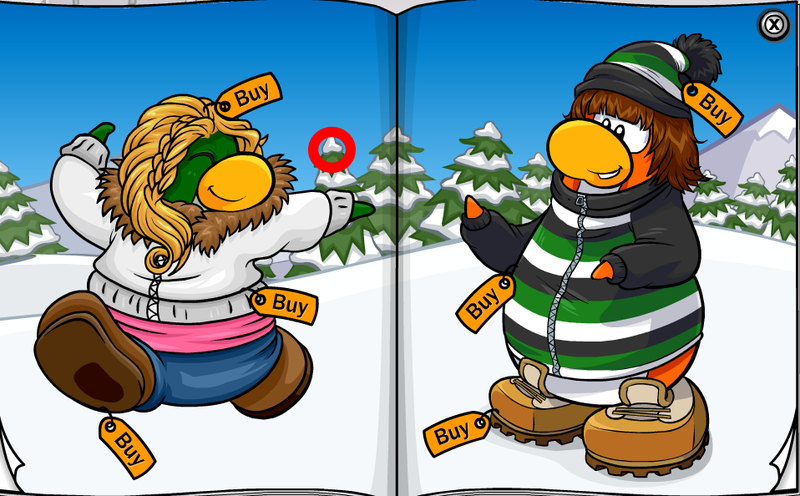 New Club Penguin January 2012 Clothing Catalog Sweet Cheats! 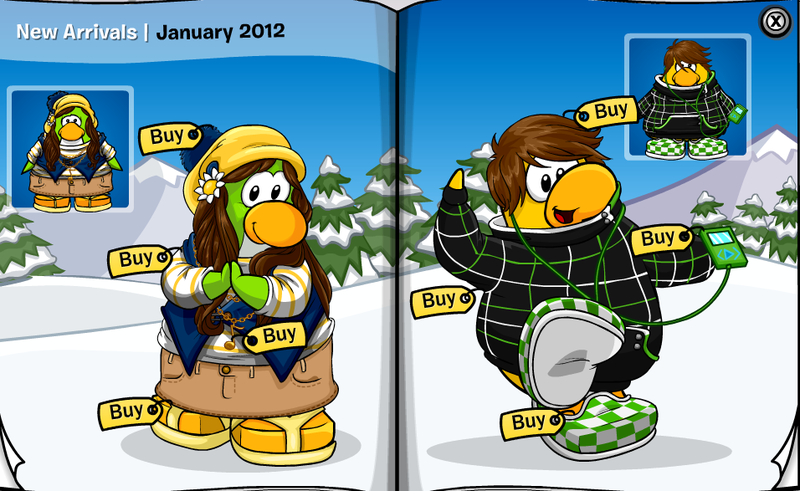 The hidden Club Penguin Cheats in the Penguin Style Clothing Catalog for January 2012 are here! Woot! Click on the small green penguin's foot. You now have the Blue Flippers and Pink Flippers cheat! Click on the tree top. 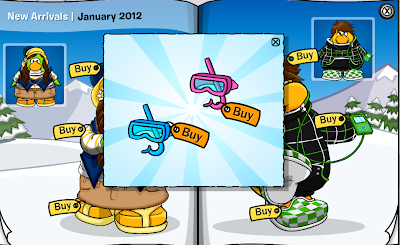 You now have the Blue Mask & Snorkel and the Pink Mask & Snorkel cheat! 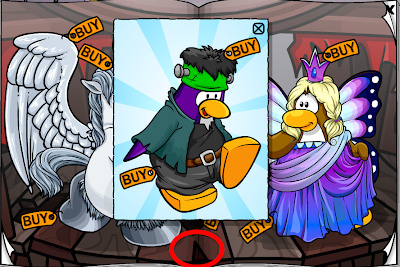 Click on the Snowflake Penguin's foot. You now have the Tundra Board cheat! 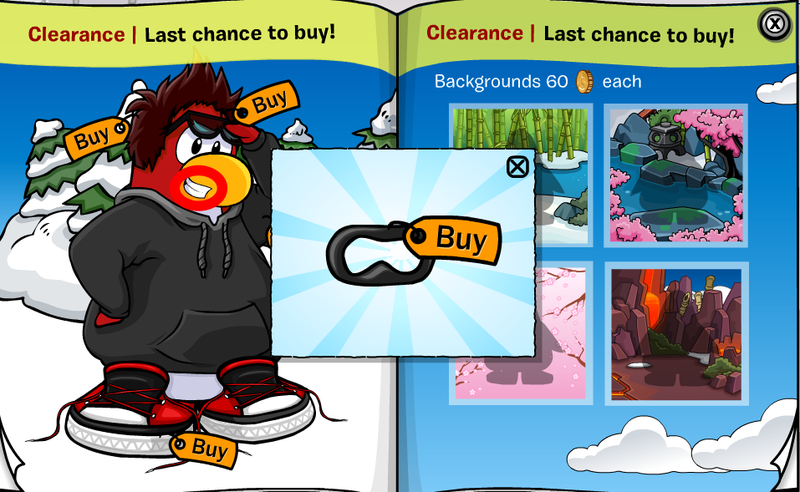 Go to page 9 in the Catalog. Click on the square on the sign. You now have the Big Bad Wool Hooves cheat! Stay on page 4 in the Catalog. Click on the circle on the sign. 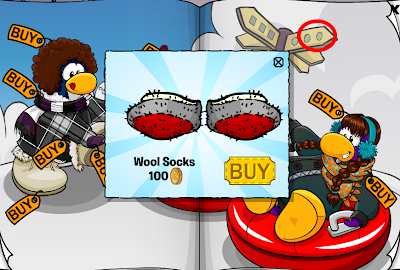 You now have the Wool Socks cheat! 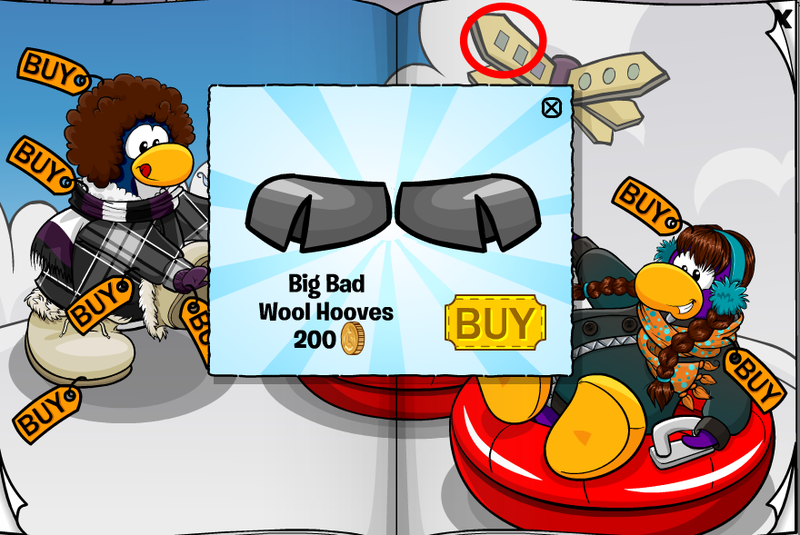 Go to the10th page in the catalog. 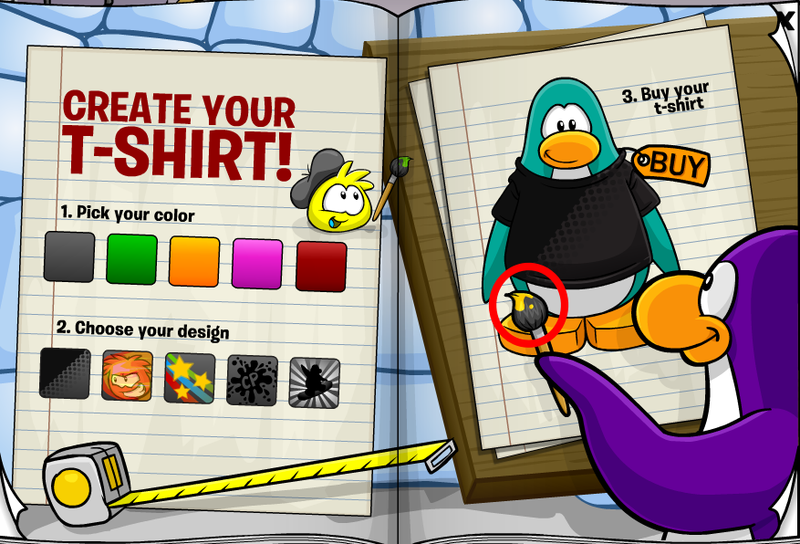 Click on the Paint Brush. 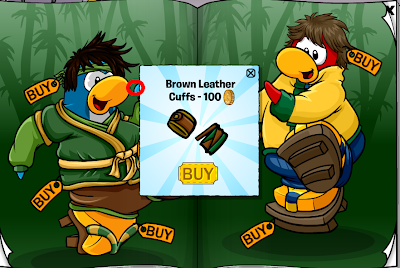 Stay on the 10th page in the catalog. 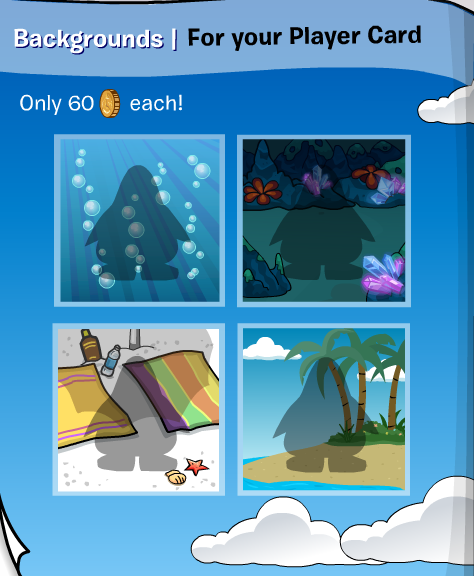 Click on and off the Yellow Puffle four times. 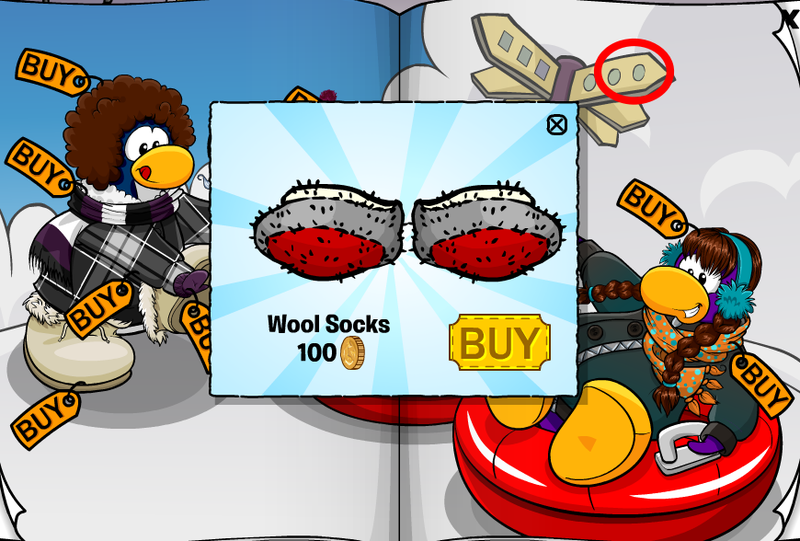 Go to the 11th page in the Catalog. You now have the Pink and Blue Flower Sandals cheat! Go to page 12 in the Catalog. 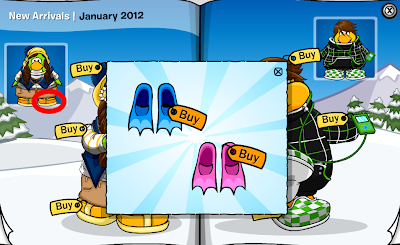 Click on the blue penguin's flipper. You now have the Brown Leather Cuffs cheat! Go to the 13th page in the catalog. Click on the tree left of the middle. Stay on the 13th page in the catalog. Click on the tree right of the middle. 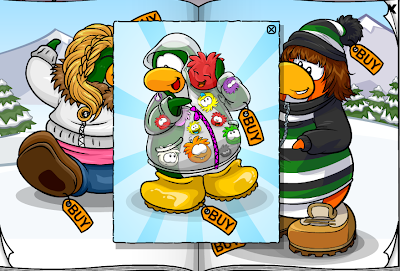 You now have the Puffle Raincoat cheat! Go to page 14 in the Catalog. 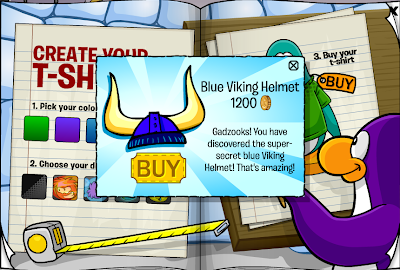 You now have the Golden Fairy Wings, Girls Pilot Cap, and Fairy Flight Outfit cheats! Stay on page 14 in the Catalog. 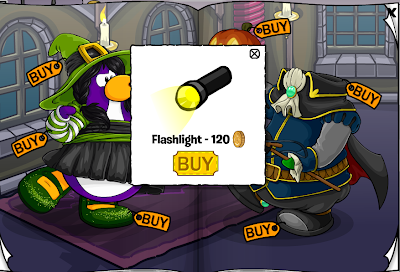 You now have the Flashlight cheat! Stay on the 14th page in the Catalog. Click on yet another window. 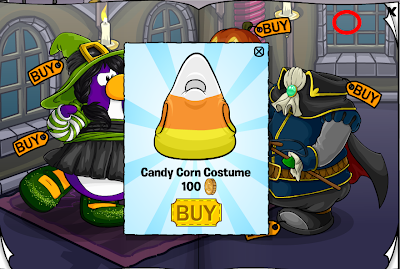 You now have the Candy Corn Costume cheat! 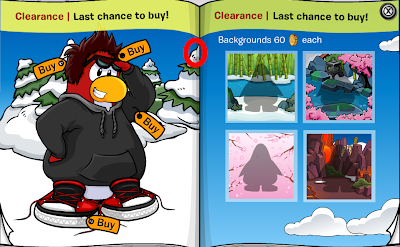 Go to the 15th page in the Catalog. 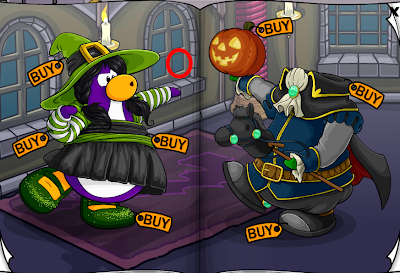 You now have the Frankenpenguin Costume cheat! Stay on the 15th page in the Catalog. 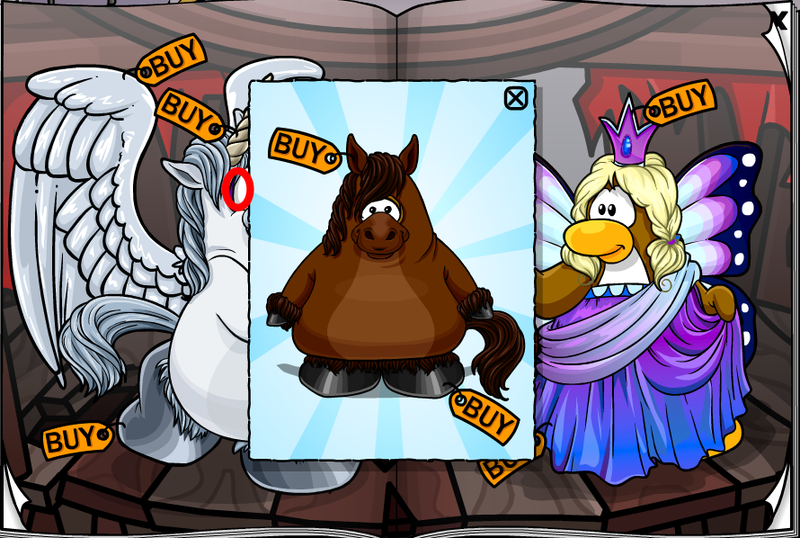 Click on the Pegasus penguin's eyes. You now have the Horse Costume cheat! Go to the 16th page in the Catalog. Click on the Red Penguin's teeth. 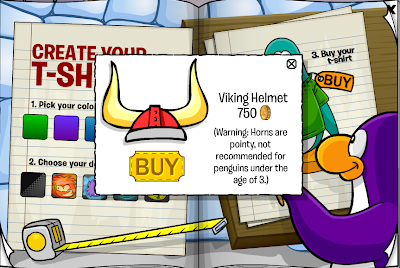 You now have the Superhero Mask cheat! 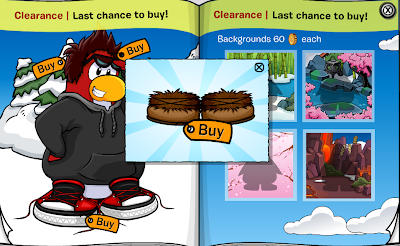 You now have the Fuzzy Boots cheat! 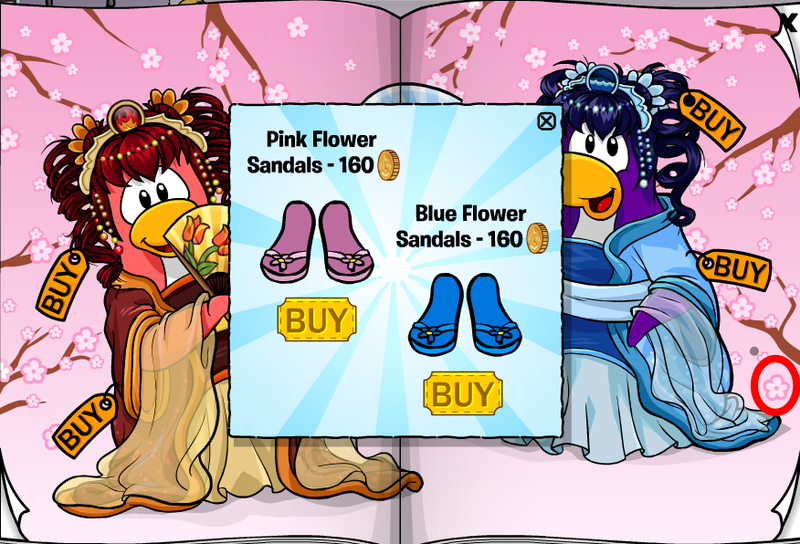 Cool new look to the Catalog, don't ya think? MIMO! wuz up man? i have a q when is your next party? Mimo you forgot the fuzzy boots on the trees on the last page with the "cool dude" outfit!!! Yeh 95jimmys right wats up with that? SERIOUSLY GUYS!? YOU TOTE DIDN'T NOTICE THAT!? 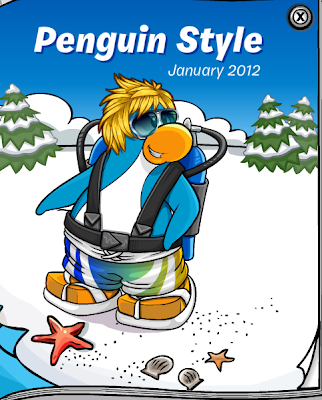 so who likes the new catalog design??? Why is that such a big deal? 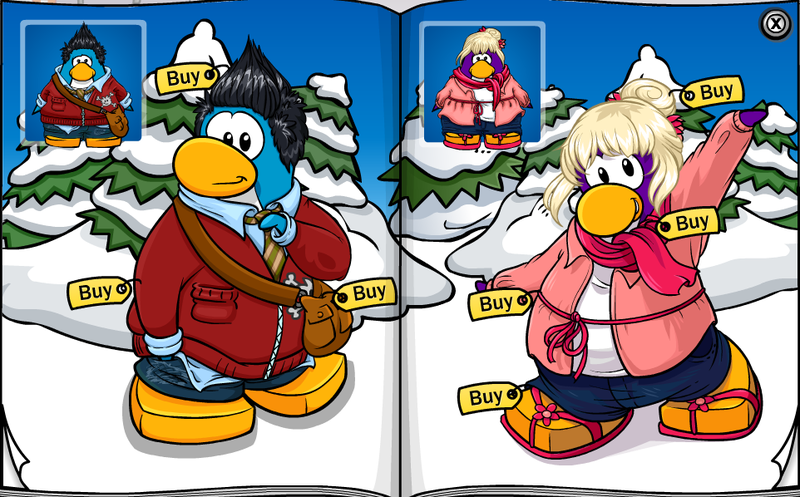 Its just the catalog, for Pete's sake. And I actually like this better. 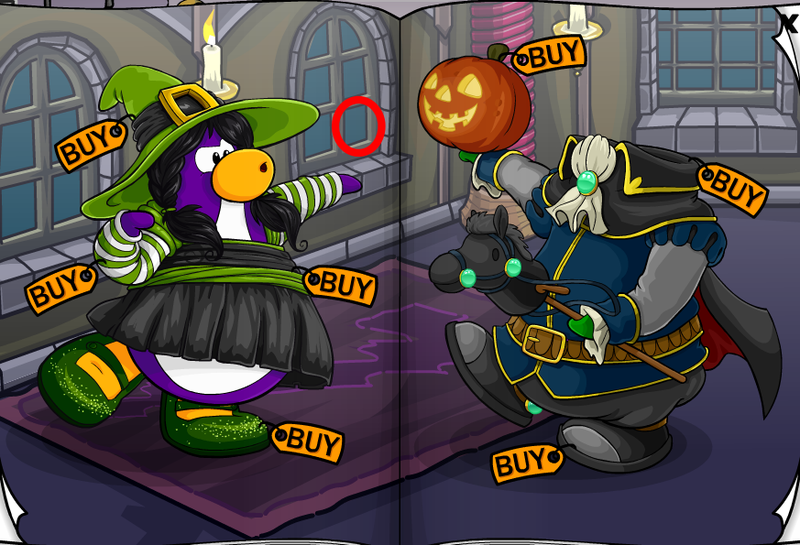 It actually shows you what the outfits look like on your penguin. 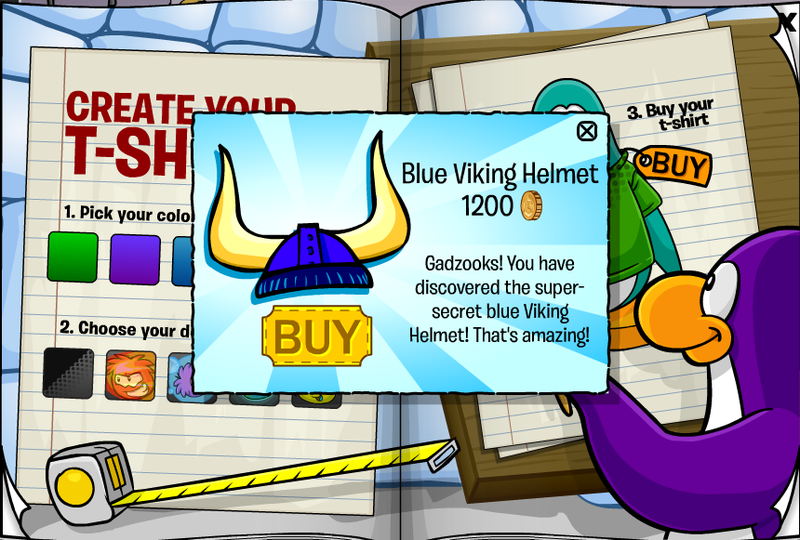 so how will we get the LEGENDARY blue viking helmet? I like it too, but Trainpower has a point. 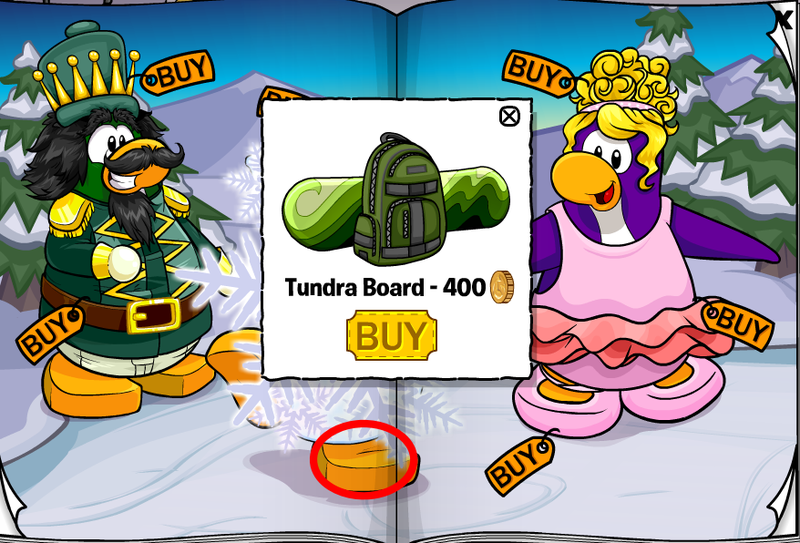 CP keeps on changing everything! WHY DOES EVERYTHING ALWAYS CHANGE! 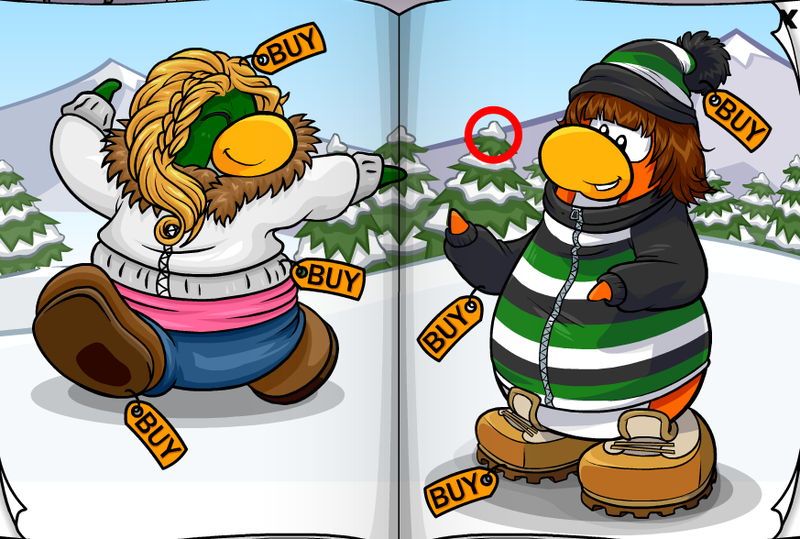 it was better when rocketsnail owned cp! nonmembers could buy things, no membership gosh! theyneed to stop changing things! it is such a big deal! 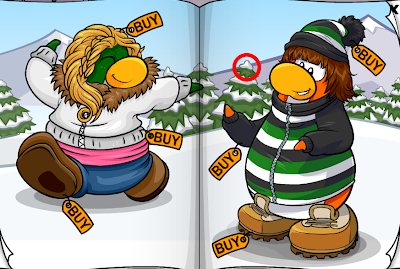 the old catalog was better and brought back more memories! Mimo, It isn't Rookie its someone else look in the club penguin times. i had already found all of them except for two. P.S. 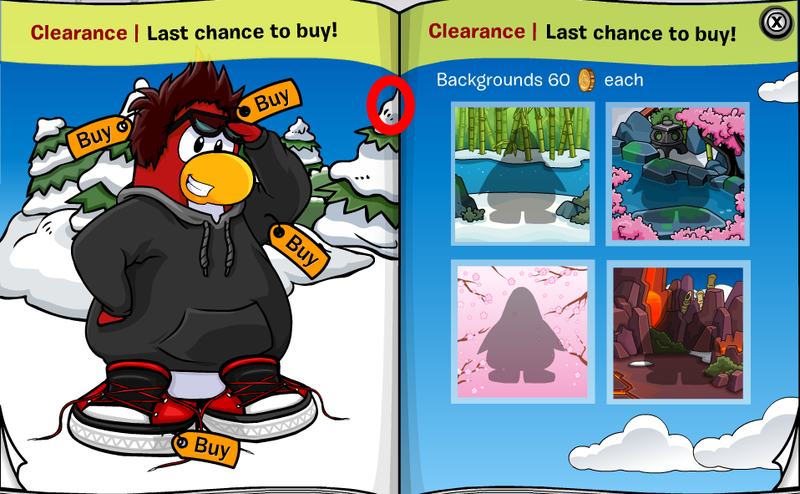 yea 95jimmy is right there are now suddenly hoodies not t-shirts.